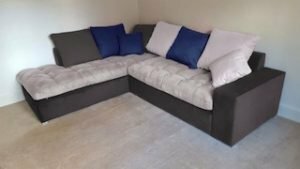 House Clearance Service In All Areas Wigton Thursby Maryport Carlisle Kendal Keswick Whitehaven Cockermouth. Hi, please can you provide a rough estimate for a house clearance which is required urgently! The property is a two bedroom with garage and the job would involve removing around 40 bin liners full of rubbish plus around 10 pieces of furniture. It is all sat ready to be removed. Thanks in advance. 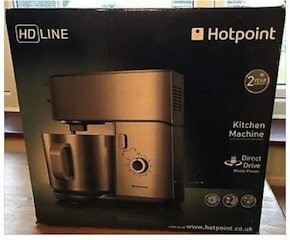 A brand new boxed Hotpoint HD Line, stainless steel multi function kitchen machine. 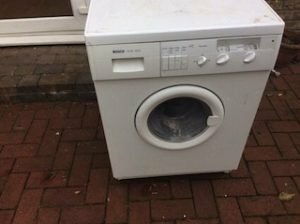 A white Hoover DC 7813NB under counter tumble dryer. 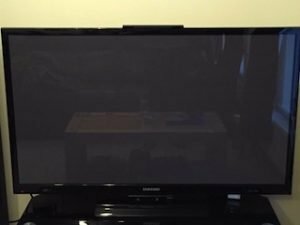 A black Samsung 51 inch flat screen smart HD television. 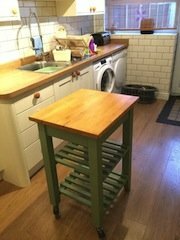 A hand painted green, solid pine two shelf kitchen trolley, on castors. 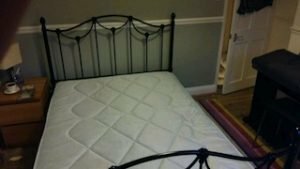 A black iron double bed frame, together with a double quilted mattress. 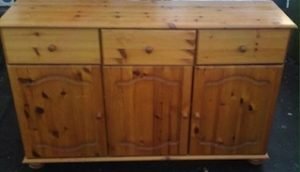 A large solid pine sideboard on ball feet, having three drawers above one single and one double cupboard. 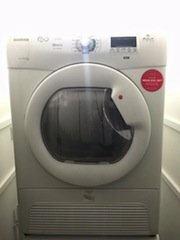 A white Bosch 5kg 1200 spin under counter washing machine. 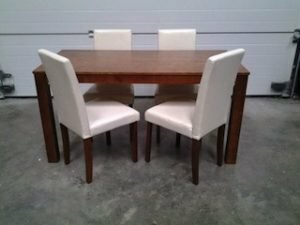 A solid oak rectangular dining table, together with four matching dining chairs, upholstered in cream faux leather. 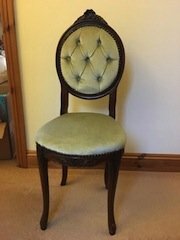 A reproduction solid mahogany framed occasional chair, upholstered to the seat and backrest in olive green velour, with button back detailing. A four seater low back corner sofa, upholstered in grey and cream velour, with associated backing cushions. 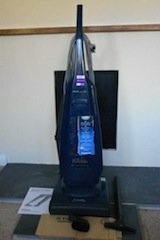 A navy blue Panasonic MC-E456 upright vacuum cleaner. 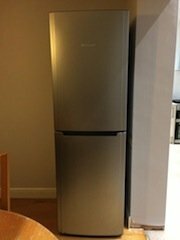 A tall standing Hotpoint silver, two door fridge freezer. 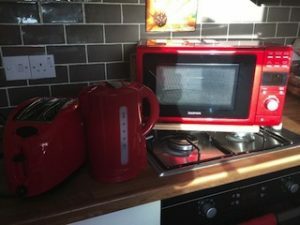 A set of red small kitchen appliances, to include a goodmans 20L microwave, a kettle and a matching two slice toaster. 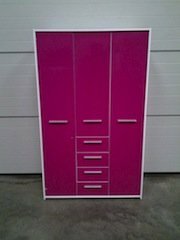 A tall standing white and hot pink wooden triple wardrobe, having four drawers below the central door. 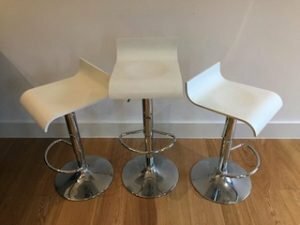 A set of three chrome based swivel bar stools, with white curved wooden seats. 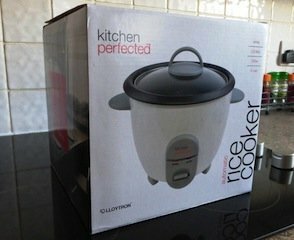 A brand new boxed Kitchen Perfected, automatic 350w rice cooker.